Alex Babin and Ryan Steadman talk about what Zero can do to save lawyers time, give their clients a better customer experience, and increase security in email processes. Dr. Teresa Albizu and Dr. Gerardo (Gery) Rodríguez-Menéndez discuss attorney wellness, how to see the signs, strategies on how to cope with stress, and when an individual should seek help. Andrew Lechter talks about how lawyers can be wise about leasing their work space. Molly Hall tells us the best ways to find and hire quality employees. Keith Dyer discusses how using AI can improve law firms's marketing efforts. Alan Tuback talks about different techniques and tools that can help keep lawyers on track with their billable hours. Seth Price talks about the four main components of SEO: high quality content, authoritative links, correct coding, and local. Tyler Todd talks about the access to justice problem and how blockchain and other technology could be a solution. Greg Garman from Lawclerk talks about when firms should hire freelance lawyers to provide different levels of expertise and free up a law firm’s time. PracticePanther CEO David Bitton dives into the details of just how practice management software can lead to a more focused and efficient law firm. Kristen David talks about the importance of using systems and how they help law firm owners, staff, and even clients. Michael Mogill talks about the seven mindset habits that lawyers can use to run a more successful and cohesive law firm. 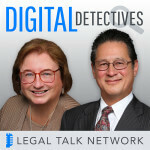 In this legal podcast, Michael Chasin talks about what lawyers should be doing to turn leads into clients. 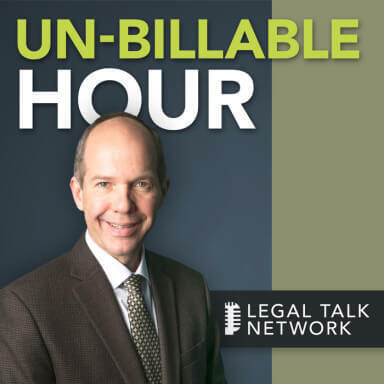 In this Un-Billable Hour rebroadcast, Tom Lambotte, CEO of GlobalMacIT, talks about the effect different technology mindsets have on legal businesses. 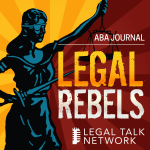 This legal podcast lays out the four Cs of referability and how to get and use testimonials. Joshua Lenon and Eva Shang talk about Legalist, a form of litigation finance underwriting for commercial cases based on algorithms and data. Tom Lambotte, CEO of GlobalMacIT, talks about the effect different technology mindsets have on legal businesses. Micky Deming explains common misconceptions attorneys have about bookkeeping and how these can be detrimental to legal businesses at large. Marketing Vice President Chelsey Lambert from How To Manage a Small Law Firm talks about building successful marketing campaigns. Tips to help legal practitioners create processes and habits to better leverage their strengths and achieve their goals. Lisa Solomon discusses freelance lawyering, the difference between contract and freelance work, and how these lawyers thrive in the world of small law. Christopher Anderson speaks with AttorneyCredits.com Director of Legal Education Jason Castillo about how to make the CLE experience a better one.